Home > Cities > Chennai . Consumers International has urged its members and supporters to use World Consumer Rights Day (March 15) as an occasion to expose poor consumer protection across the world. Vaidyanathan said it was unfortunate that even the higher judiciary did not seem to be too serious to play its designated role to meaningfully interpret the law against unfair trade practices. The Central Consumer Protection Council, an important standing committee for addressing vital issues of consumer relevance across the country, was decimated to the extent of irrelevance, in 2005. About 150 members representing from all the States were reduced to a only some four State representatives from 2005. 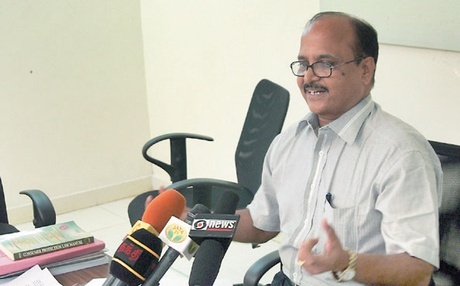 The Consumer Protection Council, Rourkela, which was formed in 1985 to safeguard consumer interests, took up several issues affecting a wide section of population across the country. One such issue was the under-weightment of LPG cooking gas refills affecting consumers across the country. The council, through its random surveys, found that the consumer, on an average, was losing a sum of `10 per cylinder, as per the 2001 price. “Since IOC did not see reason to rectify the shortcoming in its bottling plants, which was found to be the root cause of the problem, the council approached the National Consumer Disputes Redressal Commission (NCDRC) in 2001. After this, the Ministry of Consumer Affairs set up a committee comprising professors from IIT, Kharagpur, to ascertain the weight of the cylinders. Later the apex court concluded that the government and the oil marketing company had complied with the orders of the national commission,” he said. “The last hope for the consumer is the judiciary. The only solution is that consumer awareness must increase multi fold so that they are not taken for granted. They shall have to unite and ensure that they are heard,” he added.